Huge IDF Medical Corps Team Joins European Disaster Drill - Breaking Israel News | Latest News. Biblical Perspective. A large delegation from the Israel Defense Forces (IDF) Medical Corps landed in Bucharest, Romania this week to take part in the Seism 2018 (Earthquake 2018) international exercise in cooperation with the European Union. Seism 2018 involves all parties responsible for leadership, coordination and response at the local, regional and national levels in case of a major earthquake. The Israeli team includes 36 doctors (including one born in Romania), 21 nurses, 13 medical assistants, two pharmacists, seven paramedics, a psychologist, a veterinarian, a physiotherapist, five x-ray technicians, four lab technicians, four biologists, a medical clown, a rabbi and seven kitchen staffers in addition to 90 active and reserve soldiers. They brought their 10-tent mobile field hospital – named the best in the world by the United Nations and the first field hospital ever to achieve a Type 3 World Health Organization rating. It encompasses an emergency room, intensive-care unit, 50-bed hospital unit, surgical theater, imaging department and laboratory, and is fully equipped with medicines and medical devices. Col. (res.) Dr. Ofer Merin is in charge of the hospital. The Israelis also brought a mobile water purification unit. The scenario is a 7.5 magnitude earthquake causing 3,912 injuries, 7,250 missing persons, 30,000 people killed and 130,000 affected altogether. Participants are transporting more than 2,098 “casualties” to Romania’s National Institute for Forensic Medicine for identification. According to the Embassy of Israel in Bucharest, the IDF delegation also will join simulated ground and air operations during the drill. 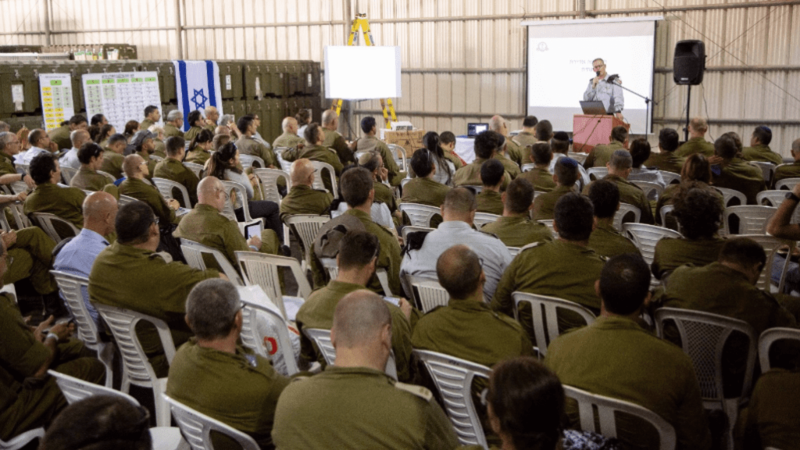 “This is the largest operational exercise that has been attended so far by the IDF Medical Corps and is helping to strengthen cooperation between the IDF and the European Union. We are taking part in Seism 2018 to improve the work of the corps in its effort to save people’s lives,” said delegation head Col. Dr. Hagay Frenkel, who appears in this video about the effort. The IDF field hospital has been deployed in real-life disasters such as the earthquakes in Haiti and Nepal. Israel is one of 17 countries approved by WHO for sending medical disaster relief teams abroad. Other countries contributing personnel and/or equipment to Seism 2018 include Austria, Italy, Hungary, Bulgaria, Moldova, Great Britain, Germany, Switzerland and Norway. ISRAEL21c is an online news magazine offering the single most diverse and reliable source of news and information about 21st century Israel to be found anywhere. It is a vast resource of thousands of originally written and produced articles, videos, and blogs by some of Israel’s leading journalists. Free from bias or prejudice, ISRAEL21c is a uniquely apolitical nonprofit organization.